Carrie Fisher's brother has opened up about his sister's appearance in Star Wars 9. 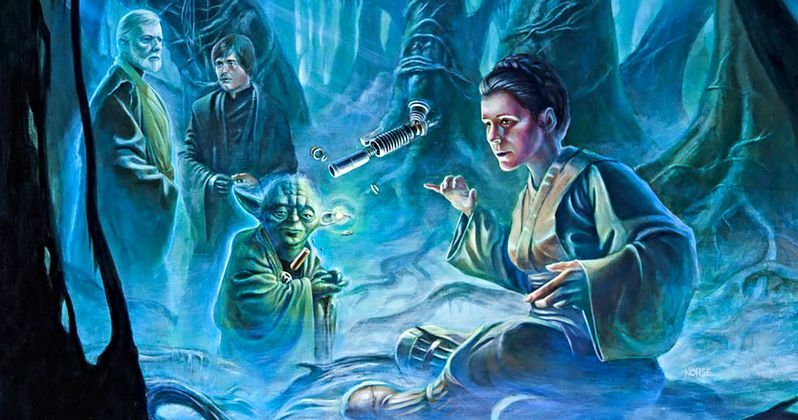 It was recently revealed that Leia Organa will appear in the movie, with J.J. Abrams utilizing unseen footage from The Force Awakens and The Last Jedi. Todd Fisher says it would have been disturbing to see Leia's story stop without reaching its proper conclusion. "My sister and Princess Leia are the same thing. And the idea of that story stopping and her not carrying forward is very disturbing to me...It is awesome that it worked out this way and, thanks to director J.J. Abrams, this is going to be very magical and important to us all." Todd Fisher also says that the filmmakers were able to take what shots of Carrie Fisher that were left and weave them into the story logically. "The things that she shot a few years ago are frozen in time, so to speak, and [have] been reborn into the final 'Star Wars' where she is the character that needed to continue," he said. He also explains that it's been difficult watching old movies that feature his late sister and his mother Debbie Reynolds, who passed away shortly after Carrie Fisher did, but that including her in Star Wars 9 helps to heal those wounds. "It is not easy, I could tell you. For me, I have to watch a lot of these old movies and it is heartbreaking sometimes to see your family that has left us. But if you believe in the way our family does, in the Force, we aren't really apart at all and she will always be with us. But it is nice when you can put her back up on the screen and continue the story and continue the saga. That is important for all of us." Billie Lourd, Carrie Fisher's daughter who also will appear in Episode IX, has been particularly protective of her mother's legacy. "My niece is really sensitive to the whole thing, the whole family is. Obviously we want to protect Carrie and [the] image of my mother, in particular. We are sensitive to how things are done and why they are done," Todd Fisher said. "This is one that you have got to embrace with a big hug," he added. He also said that, despite the hate, The Last Jedi is one of his favorite things that Carrie Fisher ever did. "One of my favorite things Carrie has ever done was the last movie. She says, 'May the Force be with you'. You know, the words, you are hanging on them. There are a lot of those. Some of her best acting and I have known her since she didn't know anything about acting. It is remarkable. She is killing it." The final chapter of the Skywalker saga recently began filming at Pinewood Studios in England. For now, story details are being kept under tight lock and key and it's sure to be that way for quite a while. Star Wars Episode IX is set to arrive in theaters on December 20, 2019. This news comes to us courtesy of ET Canada.